Therefore when we talk about having a vision for our lives, the vision should be one that leads us to maximum achievement in the Hereafter. It was reported by Mu’adh ibn Jabal that the Prophet (peace be upon him) said, “The People of Paradise will not regret anything except one thing alone: the hour that passed them by and in which they made no remembrance of Allah.” So turning to the specific question of the ideal vision for Muslim women, we have to approach the discussion with a Hereafter-centred worldview. Although it is praiseworthy that many Muslim women think about how best to spend their lives, it is unfortunate that many Muslim women in the West have been heavily influenced by a Western materialistic understanding of life, values and the status of women. Ironically, increasing numbers of Western non-Muslim women have begun to realise the importance and value of their role in the home and reject the notion of a woman’s worth being defined by her career, even campaigning for the right of women to stay at home. It seems that some of our Muslim sisters have bought into the career-oriented model of Muslim womanhood. They speak about empowering Muslim women to become successful businesswomen, company directors, financial advisors, police officers, members of Parliament and even actors, singers and dancers as if this is something Islam has endorsed. To add to their delusion, we find Muslim preachers or activists who promote such ideas without understanding the Qur’anic vision for women properly. We rarely hear them referring to the empowerment of Muslim women by means of being devoted wives and outstanding mothers. 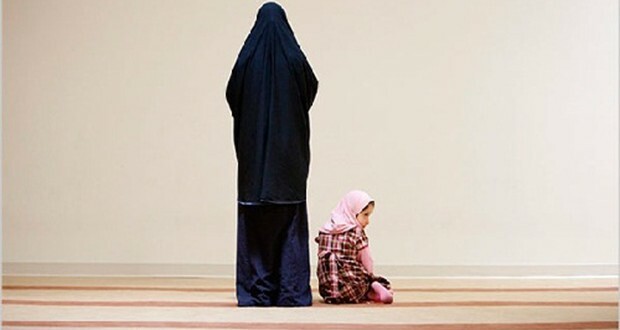 Despite the countless studies and research that has been conducted into the breakdown of society in general and the family unit in particular, all of which demonstrate that Western notions of female success have played a significant role in that breakdown, many Muslim women aspire to the very lifestyle that the West is now suffering the consequences of and recoiling from. What is the noblest Islamic achievement for a Muslim woman? Let us reflect on these two verses and the qualities of these two outstanding and noble women. They were explicitly presented as role models for humanity with their foremost qualities highlighted with candour. The first role model was Asiya, the wife of Pharaoh who was one of the worst tyrants in history. Her most important quality is her distinguished connection with Allah and her fervent desire for the hereafter. She supplicated, “My Lord! Build for me a home with You in Paradise.” Her second core quality was rejecting Pharaoh, his actions and the wrong-doers. She was not taken by the splendour of this life that she could have easily attained as Pharoah’s queen. The second role model, Maryam, was primarily praised for guarding her chastity. Her second major quality was her submission to the will of Allah who tested her by causing her to become pregnant without marriage. She also believed in the reality of the word of Allah “be”, the outcome of the word, and was exceptionally obedient and submissive to Allah. When the Qur’an mentions other women, it is very evident that in praising any believing woman it praises her for possessing similar qualities. If she is a married woman the Qur’an would praise her as a wife, supporting her husband and being dutiful to him. If she is a mother, the Qur’an would praise her for her important role as a nurturer of the next generation. I have not witnessed the Qur’an praising any woman for her contribution outside of this framework. For example, we don’t see the Qur’an praising a woman for her political involvement, da’wah activism, level of knowledge, social engagement or even leadership. This article cannot possibly include the stories of all women mentioned in the Qur’an, but a simple analysis should confirm this finding. According to the exegete Ibn Kathir, the wife of ‘Imran mentioned here is the mother of Maryam, and her name was Hannah bint Faqudh. Muhammad bin Ishaq, the famous biographer and historian, mentioned that Hannah could not have children and that one day, she saw a bird feeding its chick. She wished she could have children and supplicated to Allah to grant her offspring. Allah accepted her supplication and she became pregnant. She vowed to make her child concentrate on worship and serving Bayt Al-Maqdis (the Masjid in Jerusalem). She did not know then if she would give birth to a male or a female child. The fact that this is the only thing mentioned about her indicates that this is the most important contribution that distinguished her and placed her in this praiseworthy position. It is evident from the story that her goal was to be a mother and when she knew that this was likely to happen she vowed to dedicate her child to serve Allah’s cause in order to thank Him for what he had given her. Similarly, Maryam’s chief contribution was her giving birth to a great Prophet and then taking care of him. The same may be said about the contribution of Musa’s mother. Their role in the lives and achievements of these great men was indispensable. In this vein, a person might ask himself, why was it that Allah sent male Prophets and not female? He says, “And We sent not before you (as Messengers) any but men.” It is noteworthy that Allah sent over a hundred thousand Prophets, three hundred and fifteen of them messengers and all of them were men. If we survey the sunnah of the Prophet (peace be upon him), a similar understanding is found. The qualities of devotion to Allah and their families were at the centre of the praiseworthy qualities of women. For example, the Prophet clarifies the Islamic view regarding the best women and the central reason behind it saying, “The best women from the riders of the camels (the best Arab women) are the righteous among the women of Quraish. They are the kindest women to their children in childhood and the most careful of women in regards to the property of their husbands.” In this hadith the Prophet explains their goodness by being good wives and good mothers. We also find in the following Prophetic statement narrated by Abu Hurairah and recorded by Ibn Hibbaan, “If a woman offers her five daily prayers, fasts her month (Ramadan), guards her chastity and obeys her husband, it will be said to her, “Enter Paradise from whichever of the gates of Paradise you wish.” If entering paradise is your ultimate aim, then this hadith is a summary of how you may attain that goal and consequently, should be part and parcel of any vision you formulate for a truly successful life. It is true that there are a number of Qur’anic verses and Prophetic traditions that mention the contribution of women in military activities, their political participation and da’wah work, however an analysis of these incidents confirms that they were carried out as complementary activities to their principal role as wives or mothers. In fact, we can go so far as to say that we do not find an emphasis in the shari’ah on any role for a woman except her role as a mother, a wife or a righteous servant of Allah. For example, we find that the shari’ah considered jihad as one of the noblest activities for men but did not encourage women to take part in it despite the military contribution of a number of female Companions. There is a very clear hadith that demonstrates the Islamic position concerning women participating in jihad. A’ishah narrated that she asked the Prophet, “O Messenger of Allah, do women have to engage in jihad? 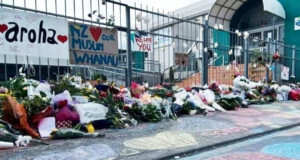 He said, “a jihad in which there is no fighting: Hajj and ‘Umrah.” Scholars either disliked women taking part in progressive jihad or prohibited it. Similarly, a number of textual evidences praise a just male ruler. The vast majority of Muslim scholars were men and women throughout Islamic history were never of a significant number. I ask our sisters in Islam to embrace their true role in society and reap the huge rewards that Allah has in store for them for fulfilling this role. I ask our brothers to support them in fulfilling this role. When we define a vision for our lives, we are seeking to make a contribution and leave a legacy. Your legacy, sisters is that if you take on the role that Allah has ordained for you, then you will positively affect the future of the Muslim ummah and ultimately the future of the world. That is a legacy beyond measure. In part two we will look at the role Muslim women can play if they are not yet married. The number was mentioned in a few prophetic statements recorded by Imam Ahmad in his Musnad and ibn Hibban. A very important piece of advice which is now becoming rare in our times. I am proud of the fact that we still have young women who refuse to buy into this feminist, capitalistic propaganda of pursuing a career and climbing a career ladder. Nothing wrong in pursuing education and stepping up to face challenges when the situation demands and it is praiseworthy for the women to be ready to face life in all spheres however not at the cost of her family. What good is a well educated career oriented women who is unable to nurture her kids into morally and spiritually sound kids. Just look around you at the younger generation being raised by busy mothers, you will notice a steep decline in morality and dignity. No wonder why suicide and crime rate is on the highest in the new generations. Why don’t we stop and think where we as a society are headed? We need to strike the right balance and please do not take the article by the Shaykh out of context and do not over judge what he is saying. This article is good, especially for the ideal society but the realty of this world is different, especially in non-muslim or poor countires. Lots of women have no one to take care of them so… let’s not call every woman who works and supports herself and her family as a feminist new type of muslima or a muslima who goes against the Quran and Sunnah. Rather we should respect those who struggle while working just the same as we respect those who stay at home. We should encourage women to have some skills so at times of difficulty she can survive. These kind of topics are rarely covered by scholars. Also, would be nice to see such articles for men as well since very few of them nowadays are willing to support their families properly. what about women who r divorced? what about encouraging our women to hv a backup plan if tings go rong? u r living in a coco land were everyone is a prefect muslim and a prefect husband etc BUT THAT’S NOT REALITY. This is not a fatwa. 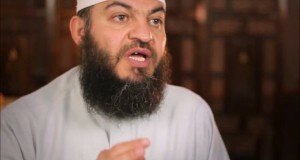 He is generally speaking and not specifying women without mehram, single mums or divoced women or women who need to work to make ends meet if you fall into these categories than contact him on his fatwa line and you will get an answer according to your situation, this article is a generalisation. have some adhab and stop being so judgemental. I dont think this article is addresed to those sisters who have no choice but to work, rather it is a reminder to those sisters who seek want to persue careers and want to climb the career ladder and make this thier ambition in life. Also alot of sisters want to work fulltime out of want and not need, eventhough thier husbands income is sufficient to maintain them and the family. Doing so they neglect thier Akihra and homelife. Iv seen myself alot of sisters seeking leadership in dawa organisations and other fields and it has lead to thier destruction. I loved this article and I hope that we can all step back from reactionism and take the article for what it is. I have always considered myself as a feminist of sorts but I think this is invaluable advice and it takes a level of maturity to glean the good from it. I did not get from it that Muslim women should not be active members of their community, indeed we all know that this is incumbent on every Muslim. However, it forces us to rethink and re-evaluate the things we consider to be important, it is also a vindication of the thousands of Muslim women who are great mothers and wives but who are berated by wider society as being nothing more than ‘baby machines’. The role of women in society is not an Islamic issue, its a human issue and lets not pretend for one second that the ‘West’ or wealtheir socities such as Japan and China where women are as ambitious as women do not have issues. I cannot count the number of articles I have read about the problems of low marriage and low birth rates, not to mention all the social problems of neglected children due to work pressures. Can I also just add that it is incredibly disrepectful to question the merits of learned people because we disagree with their stance or viewpoints, we must follow the Islamic etiquettes of debate and discussion. I would be interested to know if when his wife goes to see a doctor, he prefers a male or female doctor. Do you know how long it takes for a female Dr to train, for example to be a consultant gynaecologist? Who teaches your daughters at school? Any views on Aisha bint Abi Bakr who led a battle on a camel against Ali ibn Abi Talib ? I don’t remember her bearing children either. Also interesting that prophet Mohammed pbuh used to work for his wife Khadijah. Much more importantly, this article is from HH’s ‘Islam for wealth Saudis’ perspective. The reality is most women in the muslim world are FORCED to work to make ends meet. Do you really think that most women in Somalia, Afghanistan, Mali, Indonesia, Pakistan, Bangladesh etc. have the option of being a financially maintained full-time Mum/wife? Similarly in the UK many women who work do so because they have to. I don’t see an abundance of decent, Islamic husbands willing to take on the role of provider and not abuse the authority Allah has given them and mistreat their wives. Maybe the article should be addressed to men instead who have neglected their roles of providing security and financial maintainene as evidenced by the state of the Muslim world. With respect, as British Muslims we need guidance from scholars who understand our culture and problems. It is not possible to just extrapolate fatwas designed for the wealthy in GCC countries or for those living 1000 years ago. Ma Sha’Allah an inspiring article. Thank you sister above “Umm Sumayyah” for her honest presentation. ( knowledgeable of Islamic Teachings ) husband will make the best husband in the majority of cases. Whereas if the husbands are chosen because of their jobs / profession the chances of the marriage working are less likely in the majority of cases. Statistics have proved that. 2) The Qur’anic and Hadeeth texts address both men and women and apply to both equally, unless there is a specific text that specifies a ruling to be exceptionally related to women or men only. Hence when formulating a vision for Muslim women, the whole Qur’an and all the Hadeeth must be taken into consideration and not only those that mention the word ‘women’ or a female’s name. If that is done, it would become apparent that Islam praises both women and men who are knowledgeable, who are teachers, who help others, who invite others to Allah, who are leaders to good etc. For example, the prophet peace be upon him said: ‘The best of you are those who learn the Qur’an and teach it to others’, and he said: ‘Allah, His angels and the inhabitants of the heavens and earth –even the ant in its hole and the whale- pray for those who teach people good’. Reported by Al-Turmuthi, authentic. Those Hadeeth highlight the status of the people of knowledge regardless of whether they are males or females as there are no evidence that indicates those Hadeeths to be referring to men solely or women solely. – There is no doubt that being a good spouse and motherhood are highly noble roles, but as mentioned already success from an Islamic perspective is not limited to those two roles. – If we analyse the Hadeeth regarding the four women that attained perfection, it would become obvious that Islam allowed for diversity in women and regarded it as praiseworthy. For example, Khadija may Allah be pleased with her was a successful wife, a successful mother and a successful businesswoman. Mary peace be upon her was a single woman, a scholar and a worshipper. Allah praised her by saying that: (she testified to the truth of the words of her Lord and His Scriptures, and she was of the obedient). Her extraordinary obedience and submission to Allah could only have come as a result of profound knowledge and understanding of Allah’s scriptures. She was also chosen by Allah and favoured over women kind even before she became a mother. Assiya may Allah be pleased with her had forsaken her evil husband for the sake of Allah and had sacrificed her life and wealth to earn the blessing and reward of Allah in the hereafter. Fatimah may Allah be pleased with her was a wife, a mother and didn’t aspire for worldly gains. Additionally, Aisha may Allah be pleased with her was never a mother, was a brilliant wife, a curious seeker of knowledge and later became a prominent Scholar and a political leader. – Equating ‘successful businesswomen, company directors, financial advisors’ with ‘singers and dancers’ is wrong. Additionally, labelling all as ‘deluded’ suggests that it is haram for women to be amongst the first set just as it is haram for them to be of the second type. Where is the evidence from the Qur’an or sunnah that support such a suggestion?? – Jihad is not obligatory upon women, but those who regard it as prohibited to women are extremely wrong because some of the female companions of the Messneger of Allah peace be upon him fought in battles. For those who think that jihad is not fitting for women’s nature, I wonder whether they would regard being killed and sexually assaulted by the enemies as more befitting? – As for the question: ‘Why was it that Allah sent male Prophets and not female?’, this is surely for a great wisdom, however this does not indicate that women taking part in dawah, politics or social work are to be discouraged or are not doing what is best. The reason could be because the corrupt societies that the Messengers were sent to had been treating women as second class citizens and hence it was highly unlikely that they would have been receptive to any invitation to the truth by women. – (For men and women who are devoted to Allah-believing men and women, obedient men and women, truthful men and women, steadfast men and women, fasting men and women, chaste men and women, men and women who remember Allah often- God has prepared forgiveness and a rich reward). 33:35. – Encourages political, dawah and social activism: (The believers, both men and women are allies of one another, they order what is right and forbid what is wrong; they keep up the prayer and pay the prescribed alms; they obey Allah and His Messenger. Allah will Give His mercy to such people: Allah is Almighty and Wise) 9:71. Ordering what is right implies ordering all that is right, be it political, economical or social and forbidding evil implies all evil, whether political, economical or social. If I teach my child to read at home, I’m just a mother. If I educate my children at home, I’m just a mother. If I sit and talk to children an hour each, a week, addressing their needs, I’m a Speech Therapist. If I patiently engage and help my autistic child every minute of every day, I’m just a mother. If I look after a patient in the hospital, I’m called a Nurse. If I nurse my child when they’re ill, awake all night: none able to replace my reassuring presence, I’m just a mother. If I organise my children’s lives and my home, a place for everything and everything in its place, I’m just a mother. If I prepare a meal in a restaurant, I’m called a Chef. If I cook nutritious meals daily, made with love, remembered forever, I’m just a mother. If I work late worrying about a deal for clients, how to make them as much money as I can, I’m a Career Woman. If I stay up worrying and planning my children’s future, the future of our world, I’m just a mother. If I went out with colleagues and peers for dinner, comparing notes on the industry, I’d be Networking. If I went out picnicking with a local mother & toddler group, comparing notes on parenting, I’d just be a mother. If I sing on a stage, I’m an Artist. If I sing a lullaby every night, the only voice that they want, the only voice that will do, I’m just a mother. WOw, this article really sparked up a lot of controversy! Nevertheless, I loved the article! It was a great read and very inspiring, indeed! I couldnt help but wonder though…. what about the role of doctors and teachers? Muslim women prefer female gynacologists, and at times, female teachers to teach their daughters. People please…the shaykh is not saying that women should not educate themselves. But I had another question: What about those women who have no choice but to work in order to support their family? Will they be given the same priviledge as those stay-at-home moms on the Day of Judgement? For instance, a widow who has children? JazakAllah khair, and looking forward to your next article InshaAllah. I don’t think anyone here disputes that what is said is literally true, so don’t let’s be coy. What has been said is that we shouldn’t have to ‘read between the lines’, so to speak. What point in a wife or mother who is ignorant of her rights and responsibilities, for example? Who is unable to impart the ‘ilm not only of Islam but of the world to her offspring? Who is unable to understand the realities of the society in which she lives to such an extent that she eventually alienates herself from her children? As has been said, in an ideal world sisters everywhere would already be cognizent of the majority of these matters before they entered into marriage but the world we live in is, unfortunately, far from ideal. Simply getting married and bearing children are not by themselves the keys to Paradise. I’m sure even the Sheikh would agree with me on that one. SubhanAllah, reading some of these comments, you can feel the knee-jerk reaction to the article. Ok deep breaths people, and try to break down what is being discussed here. Firstly, the Shaykh isn’t benefitting (in terms of the dunya) from writing such a piece that was bound to cause controversy, but no one can deny the tear in the moral fabric of society. It is this concern to evaluate the conditions of the Muslims, through an Islamic looking glass to find a solution, rather than addressing the problem, and saying “such and such” solution is shariah compliant, that has motivated the Shaykh to help “us”. Undoubtedly there will be cases that require personal attention, but otherwise the advice the Shaykh has given is what is required to bring back a mutated society to one based on sound Islamic principles. To say the “most direct” route for a woman to attain the pleasure of Allah azza wa jal, is either as wife or mother etc, is problematic, why? Focus on this, dear brothers and sisters who have an issue with was written, and filter your views accordingly, can anyone reply saying they know a more direct route, thats gives more rewards for our dear sisters…? Inna lillahi wa inna ilayhi raji’oon, shocking to see some of these very western, feminist influence comments. May Allah protect us from these ideologies, aameen. Firstly there is absolutely no denying that the most ajr a women can get is from being righteous wife and a good mother. The sheikh, may Allah preserve him aameen, is not stating his opinion, but what Islam says the role of a women should be, where it is most just for her, i.e. where she gets the most reward, and that is in the home as a mother and a wife. 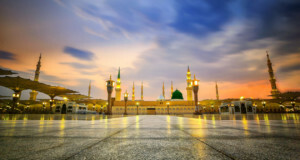 The 4 best women to ever lived as indicated in a hadith of Rasoolullah (saw0 were Maryam, asiya, khadijah and fatimah – all of them had reached the level of yaqeen in eemaan and Maryam and asiya brought up 2 of the ambiya of Allah whilst khadijah and fatimah were outstanding wives to their husbands. Khadijah (ra) was not amongst the best women because she was a business women, that didn’t factor in. It was the love and support she showed to her husband, our beloved Rasoolullah (saw) and the faith she had in Allah and in him as a messenger that made her one of the best women, may Allah be please with her. And no one said a muslim women shouldn’t gain ilm both of deen and dunya i.e. academic, of course she should because a mother is the first teacher to the children, the children first get da’wah about Islam, from the mother…why is being a housewife viewed so negatively for??? And why would we burden ourselves with the job of a full-time mum and holding up a 9-5 job as well when Allah has made it easy for us and said that we get most reward from being in the home as a mother and wife, Islam is not a religion of equality but a religion of justice and it is not just for a women to be working a 9-5 job (unless she needs to) when she will be getting most reward by being at home. I’m a uni student in my final year, but I don’t want to be holding no 9-5 job that will literally take over my life instead of fulfilling the two roles that will get me immense reward inshaAllah. People really have to snap out of this western feminist thought and ideology we do not need to suffragette movement, or no feminist movement to ‘liberate’ us as women, we were liberated by divinely revealed laws 1400 years ago, Allahu Akbar! Allah is the creator, and He knows what’s best for the creation! Masha’allah, this was a very needed article. We are at risk of sleepwalking into a nightmare if we do not address how the changing nature of womens roles is harming our Muslim community. I dont have much sympathy with some of the negative comments on the article. Noone is saying women have not or cannot do anything else, but for most women there ultimate yardstick for their role in society must be their children and husband and family not what happens outside her home. It make me happy that we have men like shaykh Haytham who have the knowledge and concern to raise such “sensitive” issues when many speakers are happy to play crowd pleasers and pander to the nonsensical and ambiguous (take it how you want it) female empowerment crowd. The above article has not been properly researched and starts off on the premise that women have no place in politics, education, business and other positions just because these haven’t been mentioned in the Quran. Would the author like to consider that in past patriarchal societies these roles are not willingly handed to women and that Khadijah (RA) is a good example of a woman who broke through those boundries and that this was praiseworthy and she is a role model to the modern woman who has far more options now than did her ancesters. Hafidhahullahu ta’la shaykh for the beautiful article. On the day of judgement we’ll be only asked for our responsibilities. Nice article but there are certain errors which i would like to mention. In the 1st para you have mentioned “we don’t see the Qur’an praising a woman for her political involvement, da’wah activism, level of knowledge, social engagement or even leadership” .Thats not true because Queen of Saba (or Sheba) is mentioned in the Quran as a female leader of a nation. Quran sheds light on her level of intellect, her wisdom and her justice. Apart from her, we know that Prophet Muhammad’s (SAW)wife Aisha (RA) was very active in da’wah. She is also well known for her level of knowledge as she narrated a very big number of hadith. She was consulted by leaders/governors of different nations on important matters. I find it important to state here that women can and should gain expertise not just at home but also outside the home and she should be wise enough to know where to draw the line between the two depending on her circumstances with preferance being for the home front. Especially in these trying times where children can easily fool their naive mothers, its important that the woman of the house be knowledgeable enough to be able to guide her children in the right direction and not fall prey to the tactics of notorious children. There’s nothing wrong in empowering women as long as it does nOt direct them away from deen and their responsibilities. Prophet Muhammad’s (SAW)wife Khadija (RA) was a successful business woman who dedicated herself to being a good wife and mother while the Prophet (SAW) saw to her business. But when Prophet (SAW) would retreat to cave Hira for meditation, she would sole handedly look after not just the home and children but also the business. I found your article written unfairly since it mentions some exemplary women in islam and not the others. Unfortunately in my view this article is misguided and misconceived. The author demonstrates a lack of knowledge and any expertise in the field he writes about. In his own words his analysis is simplistic. I fear that his opinions only seek to re-enforce the erroneous interpretation of Islam bordering on misogyny and at best the views of a male chauvinist. I look forward to a more balanced and enlightened article which reflects a deeper and comprehensive understanding of scripture. If you do not like what you read, you do not have to follow it. There is no compulsion in Islam. A Muslim who avoids things that leads to Hell and believing in Allah and his messengers and follows this, This is a true success in Islam. Verily the Hereafter is more in Rank and Gradation and more in excellence. First of all I would like to thank the sheikh for the effort. I appreciate the good intention behind the advice. But when I read the simplistic solutions, I know why we muslims have been backwards for the last few hundred years. A vision! If a vision hit most of our leaders in the face, they would not recognise it! In the past these discussions were held in arabic, urdu, persian. The only thing new is that some of our leaders have now learnt english! Despite your claim at being ‘shaykh’ you seem not to know your scripture. You claim that Miriam (Mary) was both the daughter of Imran (Amran in Hebrew) and the mother of Jesus. You are mixing Miriam, the brother of Moses (indeed the daughter of Imran/Amran)and Mary, the mother of Jesus, the ‘great prophet’ who you refer to you. Although Mary (Jesus) is called Miriam in the Quran they are in fact different people. Secondly, please explain how you have you omitted Khadija as an examplar of a muslim woman? Mashallah what Umm Sumayyah has said below is definitely the truth from Islam and I believe that is also the shaykhs view, but when one reads what is written that is not the view that comes across and I do not think it is for the reader to have to read between the lines and fill the gaps. very meaningful article thats truly give a simple clear vision about true goals and aspiration.My advice for people who comments without reading this article properly with an open mind is to read the article a few times and truly reflects on question as to Why Allah send us on earth,whts our purpose here.I pray for your success and may Allah guide all of us to the truth. Wow! SubhanAllah. I am shocked to read some of points written by some sisters after my earlier post. I must have been naive to think sisters would share my similar opinions and feelings on the article and on being a woman/mother/wife. The points that some of you sisters make are true in a lot of ways, however they are besides the point the article is making. The article from my point of view is aimed at sisters who want to draw closer to Allah, by encouraging them to try and fulfil the main roles that Allah aza wajal has prescribed for them as women. It is written to urge women to try to be the best at what Allah has asked of them. The Sheikh does in no way suggest that this is by ‘being confined to a kitchen sink’ as one sister commented and nor does he suggest that women can’t do other things outside of the home; other than being a good wife/mother. We as women have to remember where our duties lie first; and prioritise. That does not mean that we cannot seek ilm, learn arabic, be female ambassadors for Islam etc…but our main responsibility is no doubt to be supporters of our men and nurturers/teachers/carers of our young children. Know that there is ample reward in being good wives and mothers- and it is by no means an easy task. And who is to say we can’t be sheikhas like Ayesha (ra) or forbearing, strong women like Aasiya (ra), helpers of the poor and needy like Maryam (as)…whilst nurturing our children to be a generation of righteous men and women?? Yes it’s difficult….but sisters….wake up….this world is difficult!!!! But what’s our ultimate goal!??? I know what mine is. Stop criticising the men for goodness sake… yes we know they aren’t perfect…. but nor are we… ALWAYS look to yourselves first. This article was written for women…aimed at women. So you either take it, contemplate, embrace it… or leave it. I’m sure there will be an article for the men some day… to a lot of the sisters satisfaction. I agree with those calling for an article on the conduct and behaviour of the brothers towards their wives. This is far too simple a distillation of a Mulimah’s role, in any case. Firstly: That image of ALL BLACK clothing and covered from head to toe is not the best start. That picture is not a representation of sisters in Islam and, reading the article, leads us to believe is rather an image of how the shaykh and other like minded brothers think women and sisters should be like. Secondly: This article is not balanced and gives out not a clear message. I am a brother and I think this is totally counter-productive. To put the careers of “businesswomen, company directors, financial advisors, police officers, members of Parliament” in the same bucket as “actors, singers and dancers” is not really inspiring nor something one would expect from a PHD graduate. Normally the Shaykh is on form, but I feel he has a very Saudi-ised view of women. I hope he doesnt ban driving next as my mates mum drives him to work. JazakaAllah khayrun for your advice during the times where many things are confused. I feel that this article holds true towards sisters, who maybe arent practicing, whereby they have forgotten their prime duties.. However, from personal experience from sisters who are practicing and are working its usually the case that they have no choice. They are either struggling finanacially or are stuck with miserable husbands who will not contribute or provide for their family. And i feel that this is what needs to be addressed. My husband works for the local masjid, and how many a times sisters ring and say, that they have been married for years and have had numerous kids and their husbands refuse to pay for the household and expect the benefits to run the costs. Someone iknew went to the seek help from a well respected organisation with the same problem, that her husband doesnt pay for the running of the house and amongst other issues. She was told she is exposing her husbands sins etc, and returned home. And still lives like this Allahu Musta’an. Islam is the perfect way of life, but only those who’s hearts the Lord has opened can see it and appreciate it. The Creator is so Merciful, He first grants the ability to ‘see’ then rewards without limit when we ‘recognize’. What can I say? no doing is my own, but he has granted me perfection in every form. May he be just as kind to me in the here-after as He is to me in this life. Before you ask others to look into the manhood of the Prophet’s companions, sallallaahu ‘alayhim wa sallam, perhaps you should examine the matter yourself. You may at the least be a tad bit surprised that your idealistic view of the men of those times may not be as you would wish it to be. Having said that, as someone mentioned earlier, I feel that there needs to be an increase in the amount of discussions on the roles of men and guiding advice for them since most of the time it seems the focus is driven towards women and it can get a bit tedious.. plus the behaviour of some men towards their womenfolk is appalling and should be addressed with the tip of a whip..
Is the shaykh saying we should only focus on being great mothers/ wife and not aspire for any worldly achievements for example aspiring for wealth to build more masjids and raise the status of the ummah? SubhanAllah what the Sheikh has written is without doubt right but we must look at the reality of the times we are living in. We have a massive problem within the Muslim community of unmarried females and it is increasingly difficult for Sisters in their 30+ years to find husbands. We also have the problem where increasingly it is the females who are the bread winners of a family and are tied to jobs due to financial responsibilities or by the fact there is no one to provide for her but herself. As a practising single Muslim female in her mid-30’s I can tell you that without a doubt we would love to marry and be wives and mothers but the difficulty in doing so is finding a suitable husband. The Muslim men are using the ‘marry of the al-kitab’ to marry outside the religion. Or want someone who ‘practices’ but doesn’t wear the hijab or niqab. Or this…or that….so many ‘or’s’ that to find a Muslim husband who understand his duty as a Muslim husband and father and understands your duty as a Muslim wife and mother is like finding a needle in a haystack. The article is one part of the ‘vision for Muslim women in the West’ which to be honest is the easy vision for no one will dispute that this is the ultimate vision. However what is required is a ‘vision for Muslim women in the West’ that takes into account our realities, our problems, our trials, our temptations and how we are to handle these with living our lives that has Allah swt at its centre. This is the vision that is required for a vast majority of Muslim women in the West. I love my Mother, Allah grant our mothers and sisters the best in this world and the next and protect them from scholars. When I landed on this page I was expecting something visionary, written by a lady. I think the shayk (dr) misdiagnoses the problems going on here. Allahumma open our eyes and hearts to your dynamic message and protect us from religious developmentia. Having misdiagnosed, he draws on our archives in a way that may further retard our families and communities, should they see truth in his way of seeing things. While I’m sure many brothers and sisters are perfectly happy to live in this kind of salafi ecology of life, its not for everyone. Its about a dream in which the men are kept indoors and the women roam free. Its called Ladyland. Its femenine sci-fi. Jazaak Allah Khair Brother for this very clear explanation of the roles of our sisters in Islaam. I thank the above sister ( Umm Sumayyah ) for her very sincere,clear,explicit and enlighting conclusion while holding her 9 month old daughter in her arms. The reason for the many divorced sisters in many cases has been husbands who themselves are very ignorant of the roles of these wives and their lack of Islamic education. Some were very happy to use the wives’ wages to buy things for the house. It goes without saying that these mothers and wives the brother was referring to in the article should have received a sound Islamic education. If we think that on the day of the wedding the bride walks under a copy of the Quran and she becomes a pious wife we are fooling ourselves. As for those who are still single may I ask them to refer to Ayaat where Allah commands them to take the slave who is a true believer as opposed to the free person who is not. Unfortunately our unmarried sisters in many cases check the profession of the one who asks for their hand before anything else. It does not matter and is irrelevent whether he works in Banks dealing in Ribaah. It is the status that they are after and we have seen the result over and over again. So many other examples that I do not find space to elaborate. I agree with this article but who says you can’t be an amazing mother/wife and still achieve other great goals? I know women who have raised amazing kids MashaAllah and still peruse career goals, writing books, giving talks etc.So yes they are super moms, but it can be done and its NOT impossible. Look at how much Aisha ra achieved in her life and was still beloved to Muhammad peace be upon Him. I’ve seen mothers who work/volunteer part time raise better kids than mothers who stay at home full time!! The basic idea of this article is good, but I can’t help myself feeling less worth as a woman. You do not talk about the importance of increasing knowledge about islam and about wordly matters. Firstly for raising of the children, how can a mother be a good teacher for her children if she does not know much? One fourth part of the shariah is based on the teachings of woman. And, if children are all what a woman have in this world, what is she going to do when they are grown up? I’m 19 years old. I’m not married and don’t ever want to. I can’t have children and don’t want to. Just because I do not have these two things in my life does it make it worthless? Assalamualaikum. Please will the sheikh clarify what he thinks the role of the single and divorced sisters should be? It could be falsely induced from this article that they should twiddle their thumbs until Mr Right shows up so that they can fulfil their God given role. I am sure that the sheikh does not intend to hurt the feelings or insult the potential of the ever increasing number of single and divorced sisters. JazakAllah khair. Assalamualaikum. Obviously wives and mothers should be proud of their role and feel responsible. However, it is important to take into account the fact that the number of single and divorced sisters in our communities is growing, and to restrict the significance of a woman’s role to that of a wife and mother is to disregard the situations of a vast portion of the female Muslim community. Would the sheikh please expand his thoughts to these sistters and the role that they can play, other than twiddle their thumbs while waiting for Mr Right to show up? Thank you. Whilst I appreciate all that is in the article I think more needs to be done to address the role of a husband, father and son in Islam. I think that sometimes women look for other means of empowerment because muslim men DO NOT empower women and instead make them feel like they should be chained to the kitchen sink. That their only role in life is to be a mother and wife – Subhanallah! We were created to worship Allah swt and as part of our worship we have to fulfil certain obligations and fulfil certain rights of others – but the same goes for men, and I think that they forget this too often! I read your entire article whilst holding my 9month old daughter in my arms and upon reaching the concluding points, i was overcome by a surge of gratefulness and motivation. Allah aza wajal has given us women the most rewarding and beautiful job. As a mother of 2 and a wife… i feel massively responsible. The future of our Ummah hugely depends upon us women and Allah aza wajal has honoured us with this position…promising wonderful rewards if we are successful. Alhamdulilah. Sisters should never feel inadequate to men or try to take on their roles..rather we as women should embrace all the blessings Allah aza wajal has bestowed upon us… and aspire to be like the 2 greatest women that the sheikh has explicitly mentioned in his article. JazakAllahu khayr for an uplifting and inspirational read. May you be rewarded for your efforts. Ameen.